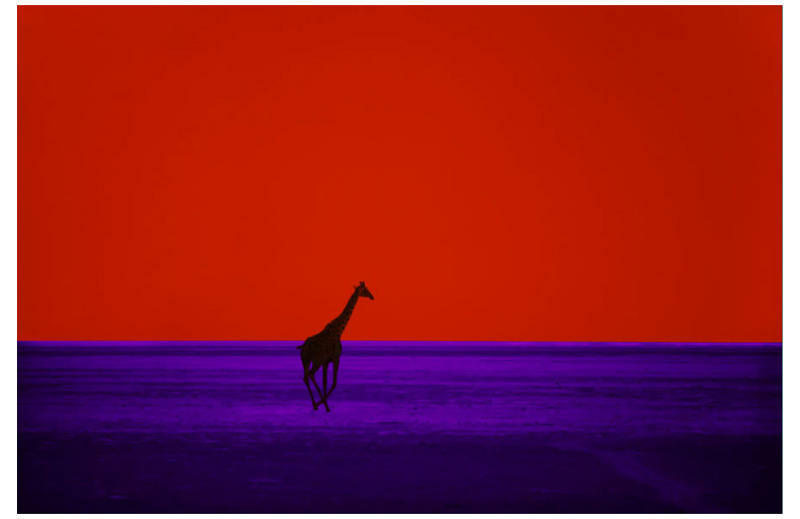 Pete Turner, a master photographer whose striking use of color and composition defined the visual aesthetic for some of the most iconic jazz albums of the 1960s and ‘70s, died on Sept. 18 at his home on Long Island, N.Y. He was 83. The cause was cancer, his wife, Reine Turner, said. If you’re a jazz fan, you have probably spent some time contemplating a Pete Turner cover image. Running the spectrum from brooding portraits to surrealistic landscapes, they’re united by a strong graphic sensibility and a supersaturated color signature. Modern to the core, they’re also deeply musical, in a way that’s easier to feel than to describe. “His images might seem abstract at first, but he always connected with what the title was suggesting, or the music was doing,” wrote Quincy Jones in the foreward to The Color of Jazz: Album Cover Photographs by Pete Turner, published by Rizzoli in 2006. Jones, a jazz composer-bandleader well before he became a pop producer, had a handful of his albums designed with Turner’s photographs, including The Quintessence, released on Impulse! in 1962. Most of Turner’s work in jazz was thanks to a close affiliation with the record producer Creed Taylor. Among the albums stamped by their partnership were The Blues and the Abstract Truth, by Oliver Nelson (Impulse!, 1961); Night Train, by the Oscar Peterson Trio (Verve, 1963); and Straight Life, by Freddie Hubbard (CTI, 1970). Each has a defining look as well as a sound, and the same could be said for dozens of other albums from the period. Turner had a celebrated career well beyond his album covers: he is recognized as a major figure in the field of color photography, working in a commercial medium with an artist’s touch. 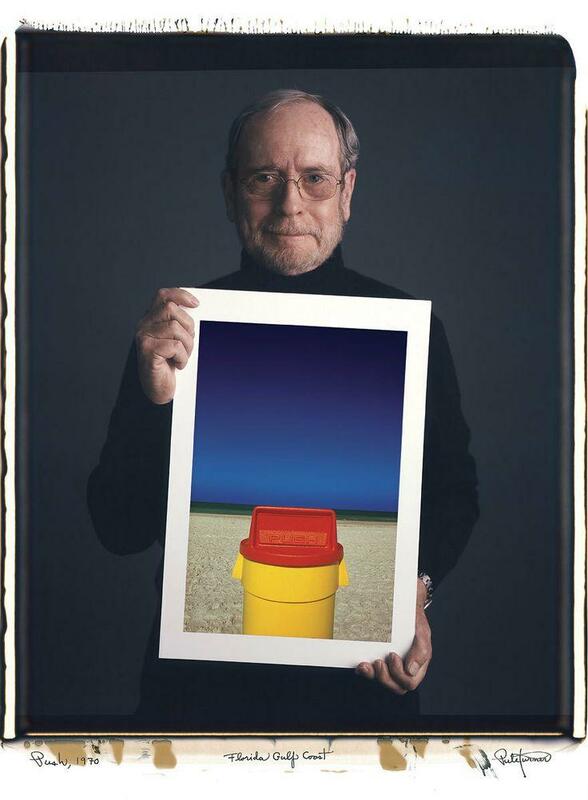 The American Society of Magazine Photographers recognized him with its Outstanding Achievement in Photography Award in 1981 — one of many awards he received over a career spanning half a century. His work is in the collections of a number of museums, including the Metropolitan Museum of Art, which acquired ‘Giraffe’ in 1967, just a few years after it was taken. 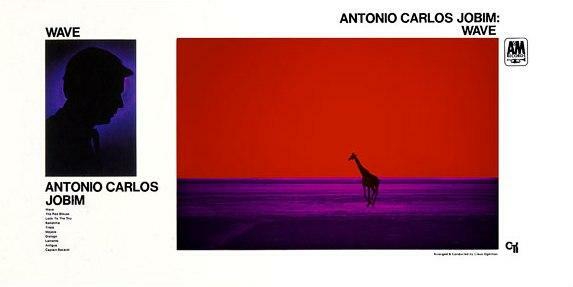 That same year, ‘Giraffe’ formed the visual basis for Wave, an Antonio Carlos Jobim album released on A&M Records. “When I saw Pete’s photo I instantly knew that this was the right graphic for the cover,” Taylor explained in The Color of Jazz, shrugging off the decision not to feature a more literal image, like a crashing wave. Turner repurposed other photographs for album covers, sometimes to memorable effect. Milt Jackson’s Sunflower (1973) features an image of ostriches shot on assignment for South African Airways. 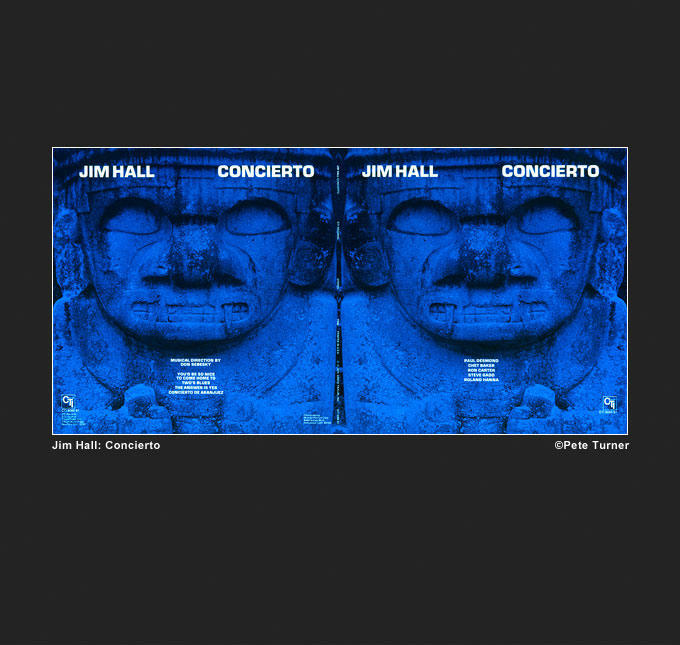 Jim Hall’s Concierto (1975) depicts a Mayan statue he came across during a shoot in Colombia, tinted with a blue filter. When he photographed musicians, Turner tried to steer clear of the standard conventions of jazz portraiture. He favored tight close-ups of musicians, often faces in profile, to avoid what he called “the old head-and-shoulders shot.” This approach can be seen on albums ranging from Stan Getz’s Focus (Verve, 1961) to Quincy Jones’ Gula Matari (1970). After his family moved to Rochester, N.Y. in the mid-‘40s, Turner began taking pictures, in black and white and then color transparencies. He majored in photography and art at Rochester Institute of Technology, and was then was drafted into the Army. While serving with the second signal combat photography team in Long Island City, he had the chance to work with type-C color materials, and operate a military color lab. Turner’s first published work was a Barnum and Bailey Circus spread for LOOK magazine, in 1958. He soon had assignments from magazines like Esquire, Sports Illustrated and National Geographic, as well as campaigns for the likes of Timex and Goodyear. He also dabbled in movie work, photographing Elizabeth Taylor and Richard Burton on the set of Cleopatra. Jazz was always on the radar for Turner, and he noticed that a lot of his favorite new albums were produced by Creed Taylor. So he made an appointment with Taylor, bringing his slim portfolio. This led to his first album cover assignment — for The Sound of New York — A Music-Sound Portrait, released on ABC-Paramount in the late ‘50s. Along with his wife, Reine, Turner is survived by their son, Alex, and two granddaughters. Turner took inspiration wherever he found it, and the story of one of his most famous album covers is a case in point. 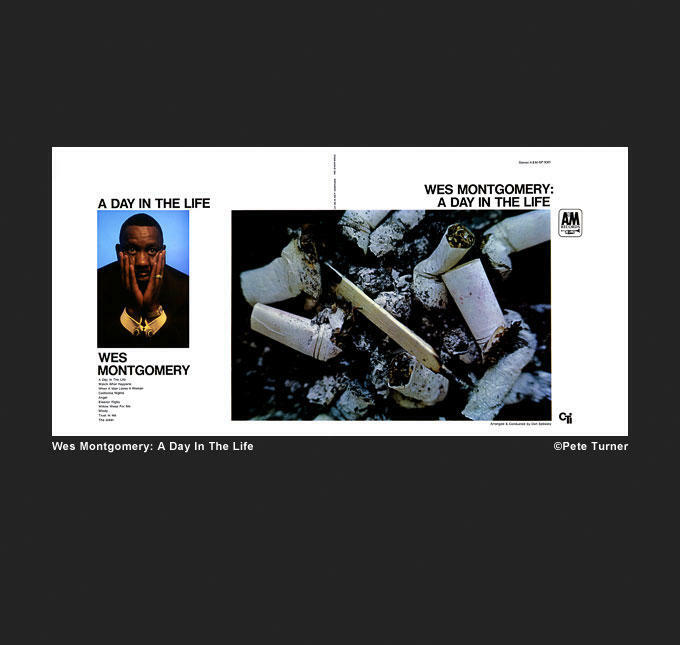 Wes Montgomery, the great hard-bop guitarist, had made a crossover album for A&M called A Day in the Life, after the Beatles tune; it eventually reached the top of the Billboard jazz chart, breaking into the Top 20.